North Star Foundation is a 501 (c) 3 nonprofit organization (EIN # 06-1589586). Our mission is to help children who face social, emotional or educational challenges with the help of animal assisted therapy, school visits and assistance dog placements. We have been incorporated for 18 years and have created over 300 assistance dog partnerships with children all over the world. "Angels Learn to Fly" is a half-hour show that highlights the work of an assistance and therapy dog organization called the North Star Foundation (a nonprofit incorporated for eighteen years). This program focuses on North Star's latest batch of golden pups as they are raised and socialized to work with children, who face the social and emotional challenges that autism presents. 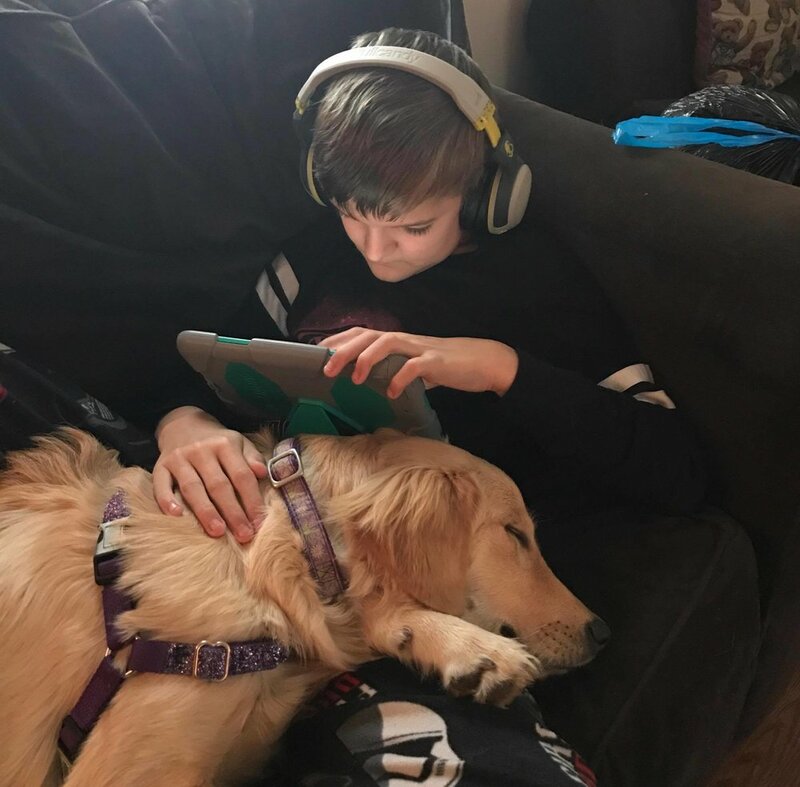 A day in the life of 12-year-old Joel Lawrence and his North Star service dog, Hero...and a glimpse into the obstacles they've overcome together. North Star dogs are specifically bred to work with children with social, emotional or educational challenges with each pup then partnered with care with the child served. North Star pups are socialized from the start to be working dogs, and socialized specifically with their children, to best meet their needs. North Star dogs are trained by positive techniques and local trainers who work with North Star families within their own homes with the child served on the ground floor. Classes are also taken at a local training facility and public access sessions are held in local community settings to certify the partnership. North Star families are always at the very heart of our work, both those who puppy raise for us as well as families who help to raise funds as well as awareness. Volunteer support is essential to our work, as helping to raise funding as well as a North Star pup is fun and family friendly.